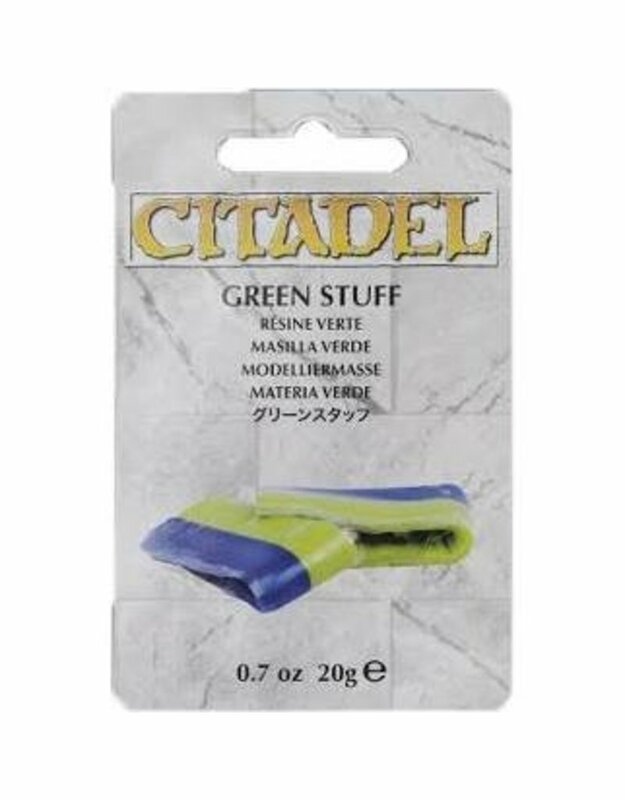 Buy Cheap Citadel Modelling Material Now, Get 10% Discount Off RRP and Free UK shipping over £75! Green Stuff is a two-part modelling putty that is useful for filling in gaps on models and sculpting additional details. When the two colours are rolled and mixed together, they form a malleable putty that can be applied to plastic, resin and metal miniatures, and then shaped/sculpted using the Citadel sculpting tool set. Once fully cured, green stuff is solid enough to be glued, and painted over using Citadel paints.